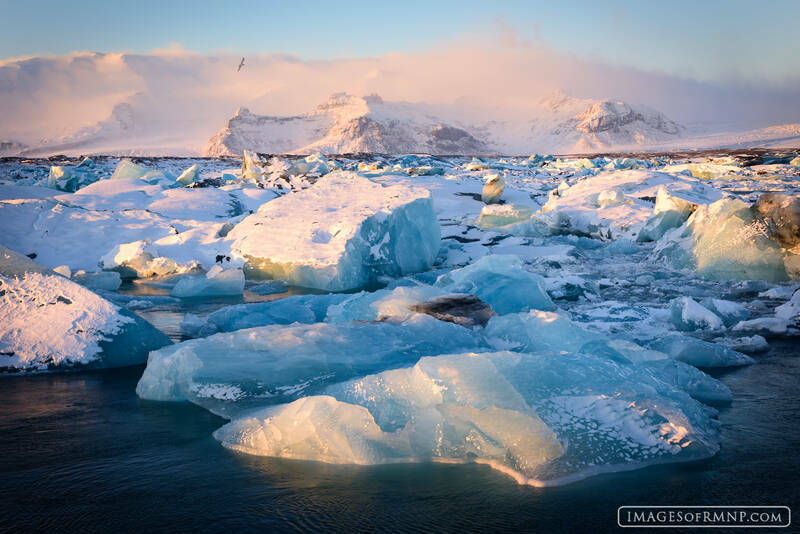 In December this glacial lagoon fills with ice that has broken off from the nearby glacier. It creates an icy view that few of us ever have a chance to experience. Photo © copyright by Erik Stensland.